Explanation: If you had x-ray vision, the central regions of our Galaxy would not be hidden from view by cosmic dust clouds. 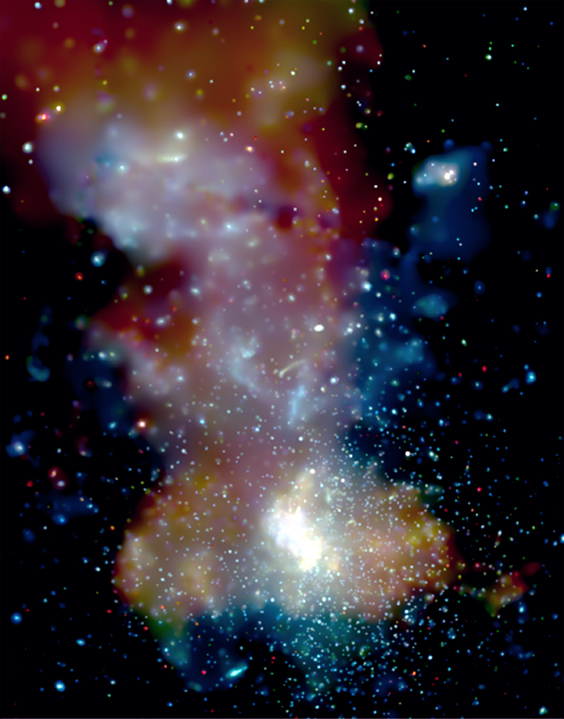 Instead, the Milky Way toward Sagittarius might look something like this. Pleasing to look at, the gorgeous false-color representation of x-ray data from the Chandra Observatory shows high energies in blue, medium in green, and low energy x-rays in red. The mosaic spans about 130 light-years at the 26,000 light-year distance of the Galactic Center. 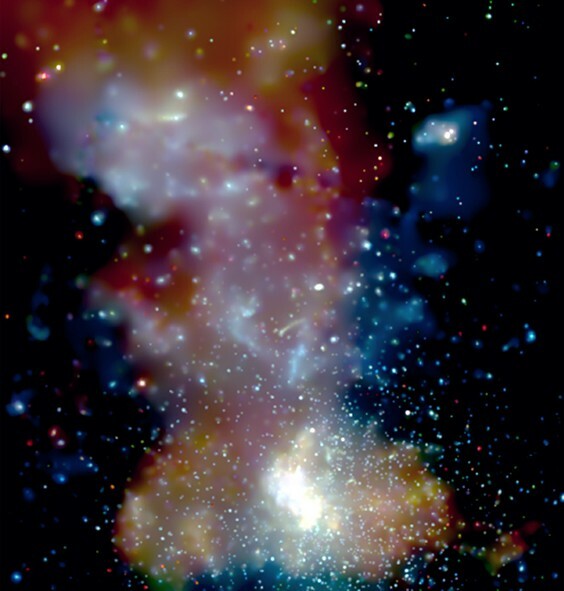 It reveals massive, x-ray emitting star clusters in a crowded environment. In particular, the Galactic Center cluster and the enormous black hole Sagittarius A* are within the bright region near the bottom. Two other star clusters, the Arches, and the Quintuplet lie near the top. Cluster interactions with dense molecular clouds in the region may produce some of the diffuse emission detected in the Chandra x-ray view.